Crafty Clyde: Norwich Sewcials - September Super Sew Day! 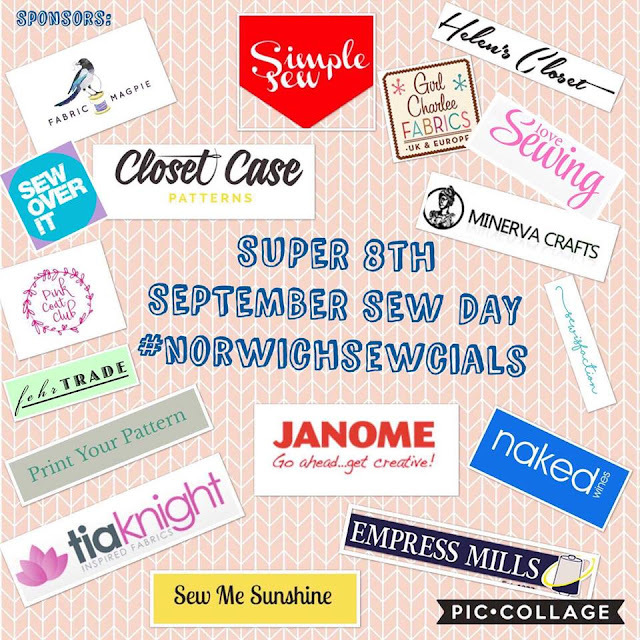 Norwich Sewcials - September Super Sew Day! Myself and Pippa (aka The Fabric Wrangler) are so pleased to announce that we are hosting a Super Sew Day on 8th September! 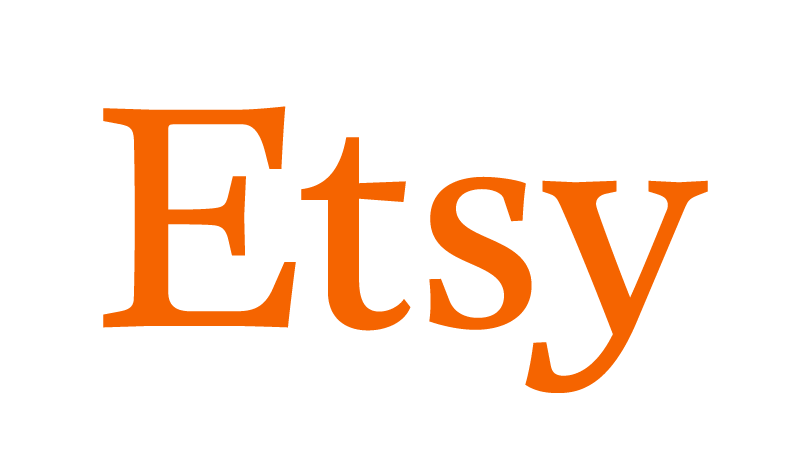 We created a little sewing community in Norwich in August 2016 after realizing there were absolutely no dressmaking groups, social groups of that sort in our area. And mostly because we decided we needed more friends that loved stroking fabric and chatting all things pattern related. 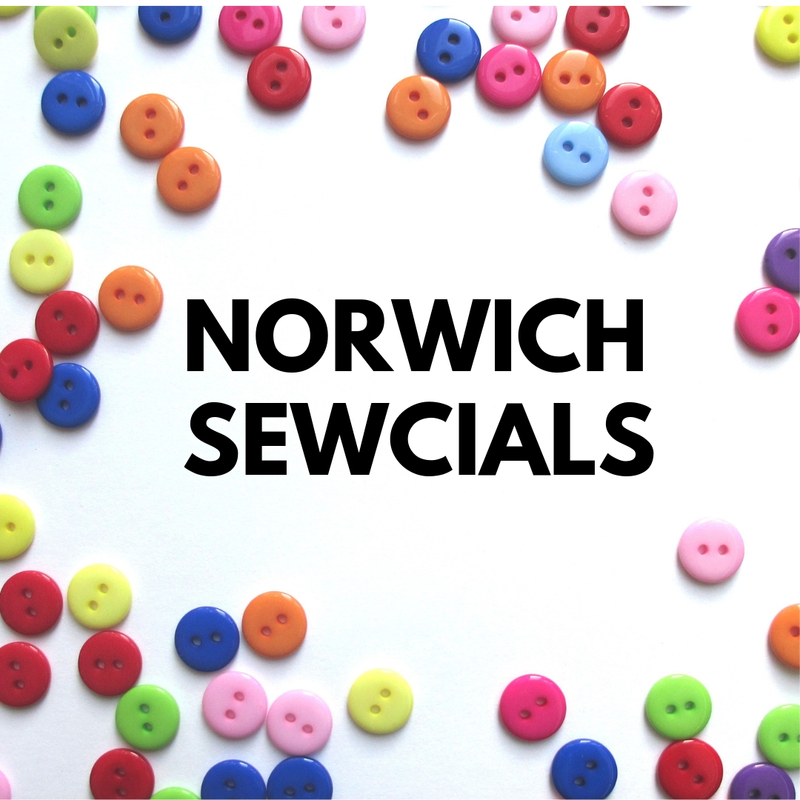 Norwich Sewcials was born. We now have a wonderful group of regulars and often have people drop in when they can for our monthly evening coffee meet-ups. We have been hosting Sew Days since that time, pretty low key, where we hire a hall and spend all day whipping up projects fueled by tea. To mark our two year sew-aversary we did however brave up and decide to run a Super Sew Day to treat our lovely sewcialists! We have loved seeing all these meet-ups pop up over the country but alas we have missed out by dates or distance - so we created one for us out here in the sticks! Super Sew Day will consist of a morning coffee, and attendees will be getting some absolutely AMAZING goody bags - and I mean AMAZING. We'll be having free sewing all day, breaking for a nice lunch and a massive pattern and fabric swap. Let the rummaging begin. We have accumulated an incredible amount of stuff over the 2 years so anything left over will be donated to charity. In the afternoon we'll be providing an afternoon tea with cakes and drinks, and announce the winners of our Super Sew Day Raffle! I cannot tell you how much restraint I have been showing in not sharing the entire contents of these bags and raffle with you. Not to spoil the surprise too much, but here's a little glimpse, seeing as I have already released these pics into the wild this week (oops). Fingers crossed this all goes well and people want to come- for two fairly socially awkward people this was quite an achievement to put together in the first place.